Joliet Central High School is a public secondary school located in Joliet, Illinois. Central is part of Joliet Township High Schools, along with Joliet West and Joliet East. Before the opening of Joliet East and West, the school was called Joliet Township High School. In 1993, when Joliet Central and Joliet West combined many of their athletic and other competitive extracurricular programs, the combined program took the old "Joliet Township" name. 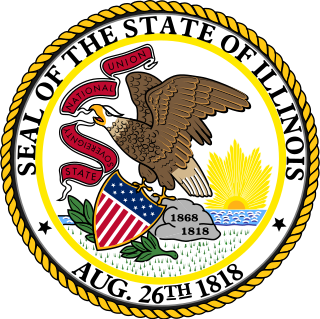 Joliet Junior College (JJC) is a community college in Joliet, Illinois. Founded in 1901, it was the first public community college founded in the United States. JJC offers pre-baccalaureate programs for students planning to transfer to a four-year university, as well as occupational education leading directly to employment. Additionally, JJC offers adult education and literacy programs, workforce development services, and student support services. 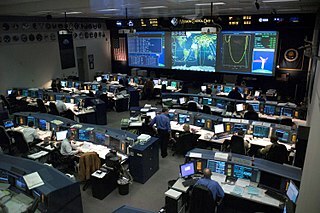 Langley Research Center located in Hampton, Virginia, United States, is the oldest of NASA's field centers. It directly borders Langley Air Force Base and the Back River on the Chesapeake Bay. 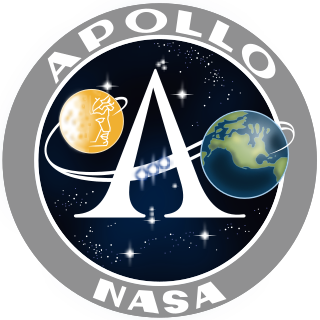 LaRC has focused primarily on aeronautical research, but has also tested space hardware at the facility, such as the Apollo Lunar Module. In addition, a number of the earliest high-profile space missions were planned and designed on-site. The NASA Exceptional Scientific Achievement Medal was established by NASA on September 15, 1961 when the original ESM was divided into three separate awards. Under the current guidelines, the ESAM is awarded for unusually significant scientific contribution toward achievement of aeronautical or space exploration goals. 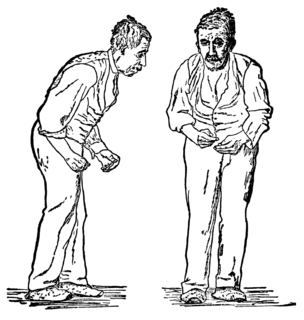 This award may be given for individual efforts that have resulted in a contribution of fundamental importance in this field, or have significantly enhanced understanding of this field. Although the basics of the lunar orbit rendezvous (LOR) concept had been expressed as early as 1916 by Yuri Kondratyuk  and 1923 by German rocket pioneer Hermann Oberth, NASA would provide the first practical application of the concept. Some engineers were concerned about the risks of space rendezvous, especially in lunar orbit, where there would be no fallback options in case of a major mishap. Houbolt had presented the LOR concept to a series of panels. 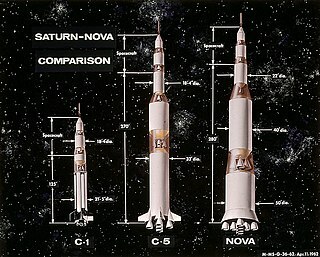 Nova was a series of proposed rocket designs, originally as NASA's first large launchers for missions similar to the production-level Saturn V. The Nova studied designs that closely mirrored the Saturn V in basic concept, power, size, and function. Differences were minor but practical, and the Saturn was selected for the Apollo Project largely because they would reuse existing facilities to a greater extent and could make it to the pad somewhat earlier. 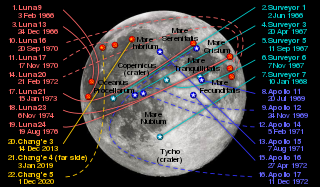 Earth orbit rendezvous (EOR) is a potential methodology for conducting round trip human flights to the Moon, involving the use of space rendezvous to assemble, and possibly fuel, components of a translunar vehicle in low Earth orbit. It was considered and ultimately rejected in favor of lunar orbit rendezvous (LOR) for NASA's Apollo Program of the 1960s and 1970s. Three decades later, it was planned to be used for Project Constellation, until that program’s cancellation in October 2010. James Arthur Chamberlin was a Canadian aerodynamicist who contributed to the design of the Canadian Avro Arrow, NASA's Gemini spacecraft and the Apollo program. In addition to his pioneering air and space efforts, he is often cited as an example of Canadian brain drain to the U.S. In the early 1960s, he was one of the key people that proposed and moved that Lunar Orbit Rendezvous (LOR) was the best option for landing a crew on the Moon, the method eventually used on Apollo lunar landing missions. He left NASA in 1970 and worked for McDonnell Douglas, in their Houston offices, until his death in 1981. Back to the Moon is a science fiction novel and Homer Hickam's first fictional book. Published in June 1999, Hickam wrote Back to the Moon using insider information he learned from NASA. 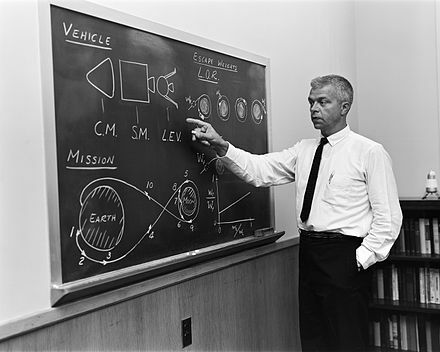 Thomas Dolan was an American engineer who proposed the first fully developed concept of Lunar orbit rendezvous for the Apollo program while working at Vought Astronautics. Joseph Francis Shea was an American aerospace engineer and NASA manager. Born in the New York City borough of the Bronx, he was educated at the University of Michigan, receiving a Ph.D. in Engineering Mechanics in 1955. After working for Bell Labs on the radio inertial guidance system of the Titan I intercontinental ballistic missile, he was hired by NASA in 1961. As Deputy Director of NASA's Office of Manned Space Flight, and later as head of the Apollo Spacecraft Program Office, Shea played a key role in shaping the course of the Apollo program, helping to lead NASA to the decision in favor of lunar orbit rendezvous and supporting "all up" testing of the Saturn V rocket. While sometimes causing controversy within the agency, Shea was remembered by his former colleague George Mueller as "one of the greatest systems engineers of our time". The Saturn C-3 was the third rocket in the Saturn C series studied from 1959 to 1962. 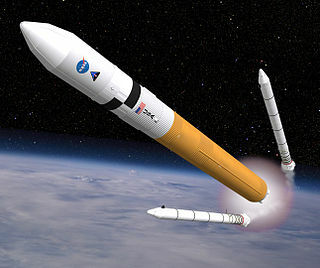 The design was for a three-stage launch vehicle that could launch 45,000 kilograms (99,000 lb) to low Earth orbit and send 18,000 kilograms (40,000 lb) to the Moon via trans-lunar injection. The Rocket City Space Pioneers (RCSP) was one of 29 teams from 17 different countries officially registered and in the competition for the Google Lunar X PRIZE (GLXP) during 2010–2012. The Joliet Area Historical Museum is a historical museum located in Joliet, Illinois. The museum documents the history of Joliet and surrounding Will County. 1 2 "John C. Houbolt:: An Inventory of the John C. Houbolt Papers at the University of Illinois Archives". Library.illinois.edu. Retrieved 2010-09-01. ↑ "Houbolt". Astronautix.com. Archived from the original on 2010-01-31. Retrieved 2010-09-01. ↑ "NASA - The Rendezvous That Almost Wasn't". Nasa.gov. Retrieved 2010-09-01. ↑ "Dr. John C. Houbolt". Nae.edu. Archived from the original on 2010-05-29. Retrieved 2010-09-01. ↑ "MOON LANDING'S OTHER HERO - DR. JOHN HOUBOLT OF JOLIET - Herald-News (Joliet, IL) | HighBeam Research - FREE trial". Highbeam.com. 1999-08-01. Archived from the original on 2012-11-04. Retrieved 2010-09-01. ↑ "John Houbolt". Cityofjoliet.com. Retrieved 2010-09-01. ↑ "3 Missions, Modes, and Manufacturing". SP-4206 Stages to Saturn. History.nasa.gov. Archived from the original on 2004-10-31. Retrieved 2010-09-01. ↑ James R. Hansen (December 1995). "Enchanted Rendezvous: John Houbolt and the Genesis of the Lunar-Orbit Rendezvous Concept" (PDF). Monographs in Aerospace History Series #4. Archived from the original (PDF) on 2006-09-29. Retrieved 2006-06-26. ↑ White, Rowland; Truly, Richard (2017-04-18). Into the Black: The Extraordinary Untold Story of the First Flight of the Space Shuttle Columbia and the Astronauts Who Flew Her (revised). Touchstone. ISBN 9781501123634. ↑ Tennant, Diane (2009-11-15). 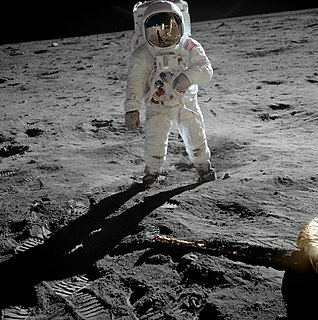 "Forgotten engineer was key to space race success | HamptonRoads.com | PilotOnline.com". HamptonRoads.com. Retrieved 2010-09-01.